Very nice color. Thick and well made. Add a touch of elegance in your home with this beautiful hand tufted rug. Featuring a polyester construction, it offers comfort and durability. 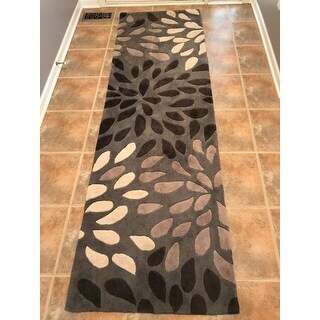 The rugs striking floral pattern is sure to add something special to your decor. 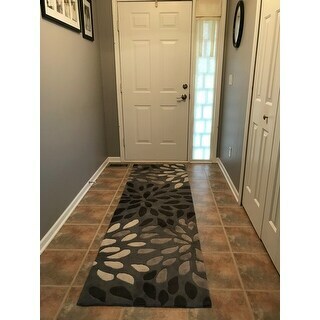 This rug is being used as a center runner on a walk in closet. The colors were perfect and I was pleased with the thickness of the rug. Thick beautiful rug. True in color. Cleans very easily. "Does it need to have a pad underneath. Will it slide on the hard wood floor"
I needed a unique outdoor carpet!